Young people who have lived in alternative care face many challenges on their way to living independently. In the second phase of the “Prepare for Leaving Care” project, SOS Children’s Villages International and its partners will expand into new countries to help more care leavers on the road to independence. 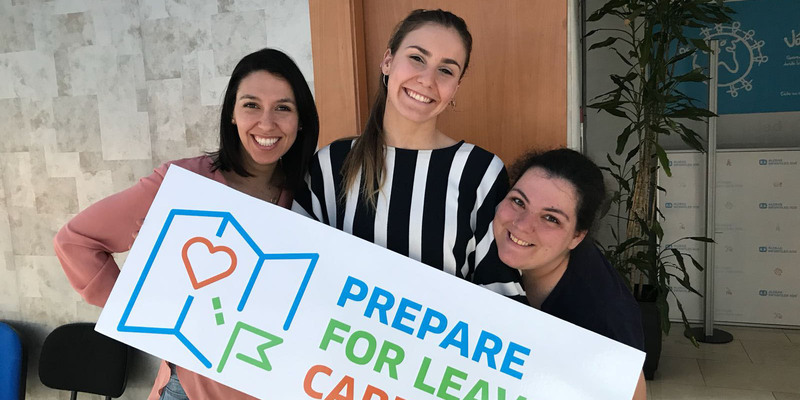 This year the project aims to roll out the “Prepare for Leaving Care” curriculum and training materials in Austria, Bulgaria, Estonia, Hungary, and additional regions in Italy and Romania. In this phase SOS Children’s Villages works in cooperation with the International Federation of Educative Communities in Austria (FICE Austria) and Federatia Organizatiilor Neguvernamentale pentru Copil (FONPC) in Romania. Toni Maglica, a professional curriculum trainer, says research shows that what matters to care leavers is not just having access to specific services but the manner in which they are provided. “When leaving care, they say to us that they feel it’s like they are being abandoned again. They need the caring relationships of personal mentors and other professionals to support them through the process,” says Toni. Co-financed by the Rights, Equality and Citizenship (REC) Programme of the European Union, the Prepare for Leaving Care project has gathered expertise from partners such as the Centre for Excellence for Looked After Children in Scotland (CELCIS) and Eurochild. A key component of the project is the participation of young people themselves to help train care professionals. A highlight of the second project phase is the “Be the Change!” conference in Bucharest, Romania on 12-13 June. The conference will bring together policymakers, practitioners and professionals as well as young people to strategise and exchange on good practices. The conference, taking place during the Romanian EU Council Presidency, aims to provide a platform to discuss and recommend key changes needed at policy and practice level to improve the situation of care leavers. This includes good practices for the preparation to leave care, the transition out of care and aftercare services needed for individualized support of young people on their way to adulthood. In the first phase of the project about 400 care professionals in five European countries - Croatia, Italy, Latvia, Lithuania and Spain - participated in training workshops. Another 14 professionals received training to conduct workshops for care professionals in their own countries. Partners in the project have also made efforts to obtain accreditation of the trainings in their country to ensure long-term integration of the trainings into relevant educational curriculums. However, while there has been progress, awareness needs to be raised among key actors beyond the care sector including services, authorities and policymakers. Chrissie Gale, International Services Lead at CELCIS, is thrilled by “the enthusiasm and drive of the young people and the impact it’s had”. She also notes that to achieve systemic change it requires political will and a change of mind-set. “Young people are often hidden from the view of politicians. It is challenging to change this. Reaching equality can also be challenging,” she says. Children’s rights are also key on the political agenda in 2019 with the 30th anniversary of the United Nations Convention on the Rights of the Child (UN CRC) and the 10th anniversary of the United Nations Guidelines for the Alternative Care of Children. The project will further ensure that the rights and support needs of young people who live or have lived in alternative care are included in all child rights policy debates. A comprehensive report on the first phase of the Prepare for Leaving Care project is available here.